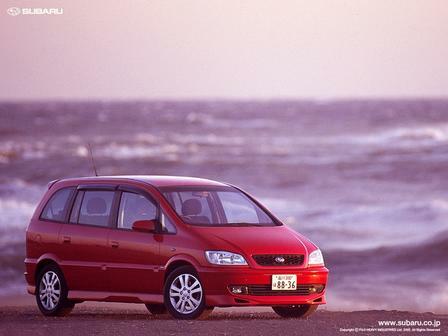 Subaru is the automotive division Fuji Heavy Industries of Japan and was established on 07 July 1953 by founder Kenji Kita, the first Subaru car was produced in 1954. 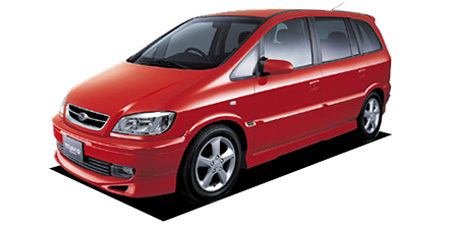 As with most Japanese car makers growth was initially slow but started to increase markedly during the 1960s with exports driving the majority of growth. 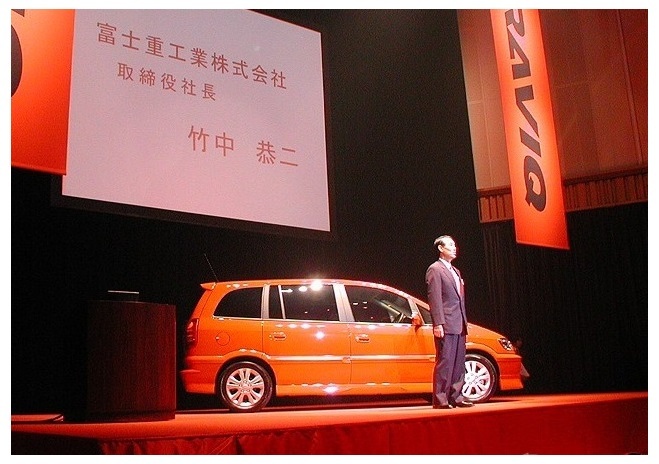 During 1968 the Japanese government ordered the merging of sections of the Japanese auto industry started on the pretext of improving competitiveness, this was under the administration of Prime Minister Eisaku Sato. 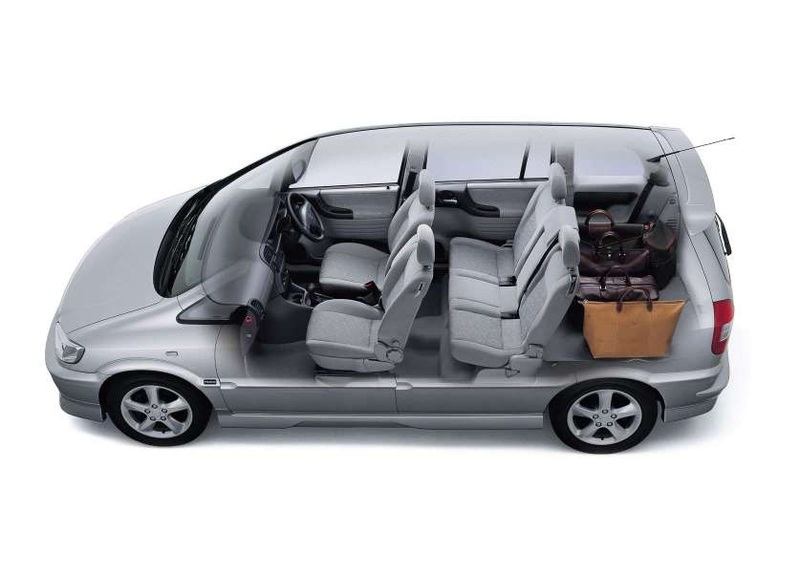 As a result Nissan took a 20% stake in Fuji Heavy Industries in order to utilize the company's bus manufacturing capability and also their expertise for use in Nissan's line of Diesel buses. 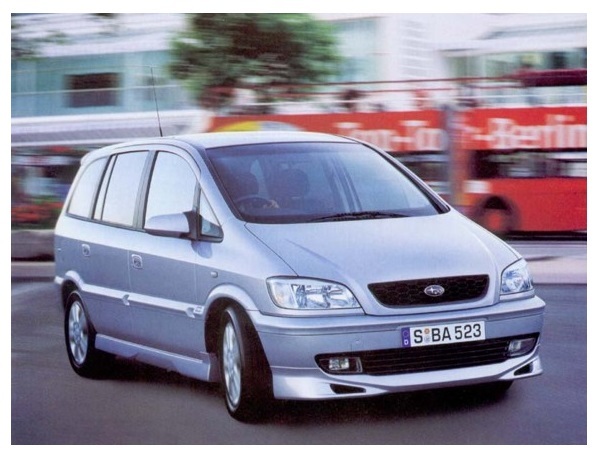 In turn, many Subaru vehicles, would use parts from Nissan cars and therefore save duplicating development and production. 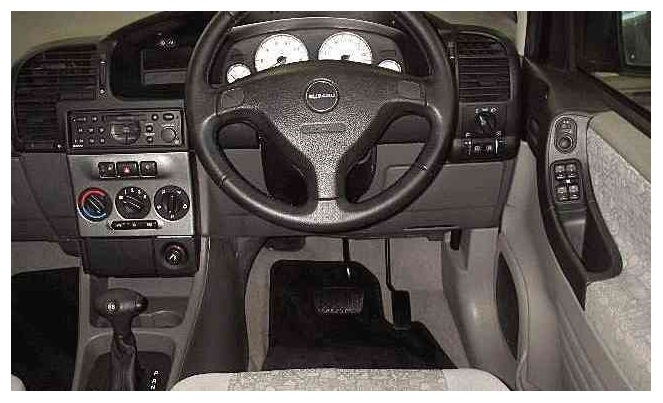 The Subaru automatic transmission, known as the 4EAT, was also used in the first generation Nissan Pathfinder. 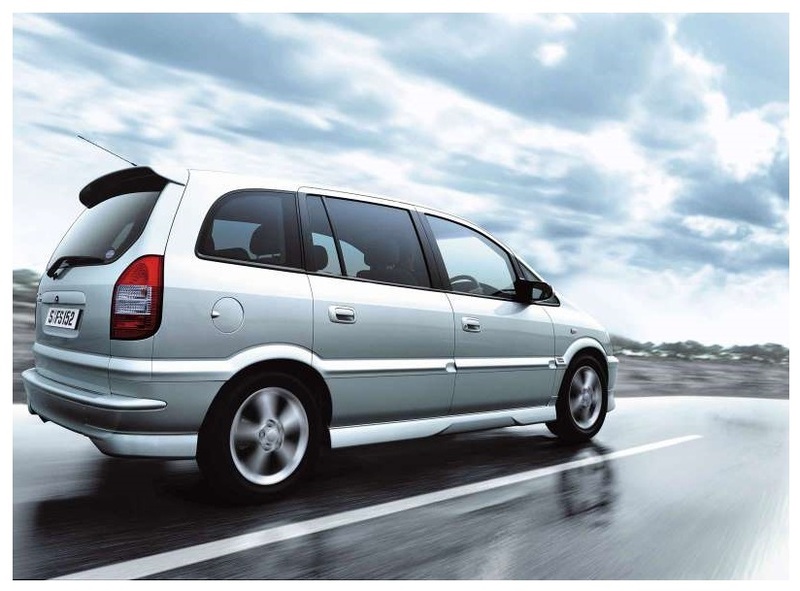 Speculation has it that it was Subaru who introduced Renault to Nissan after Renault requested assistance from Subaru in all-wheel drive (AWD) technology. 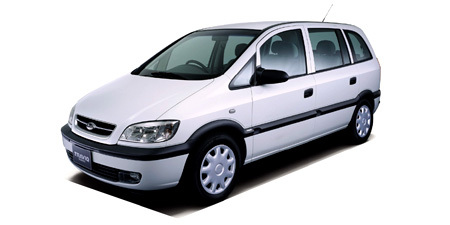 FHI told Renault to discuss their plans with Nissan and the discussions may have been a contributing factor to the currently successful Renault-Nissan alliance, although another factor might have been that, at the time of the takeover, Nissan were in a dire financial state. 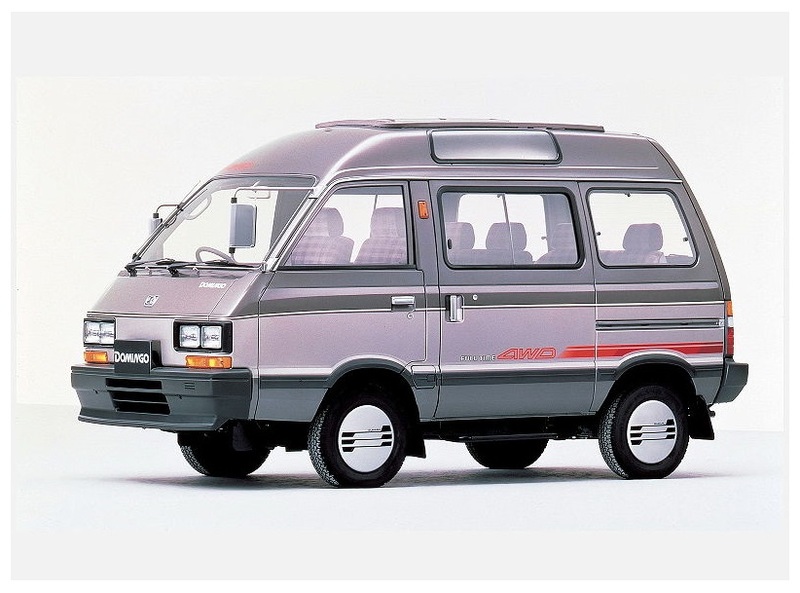 THE STRANGE LOOKING SUBARU DOMINGO 4WD WAS THE FIRST PEOPLE CARRIER FROM THE COMPANY WITH THREE ROWS OF SEATS, IT WAS LAUNCHED IN 1983 AND WAS NOT A SUCCESS. 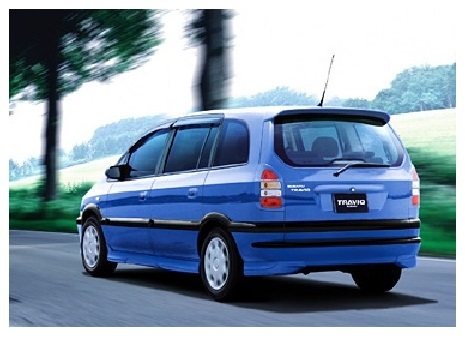 Nissan's acquisition by Renault meant its 20.1% stake in Subaru was then sold to GM in 1999. 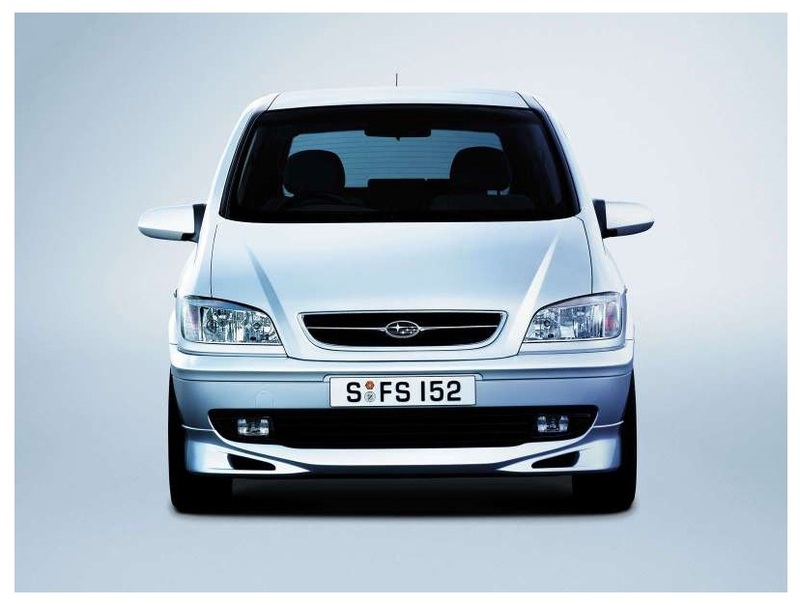 Troy Clarke, of General Motors served as the representative to FHI on their corporate board. 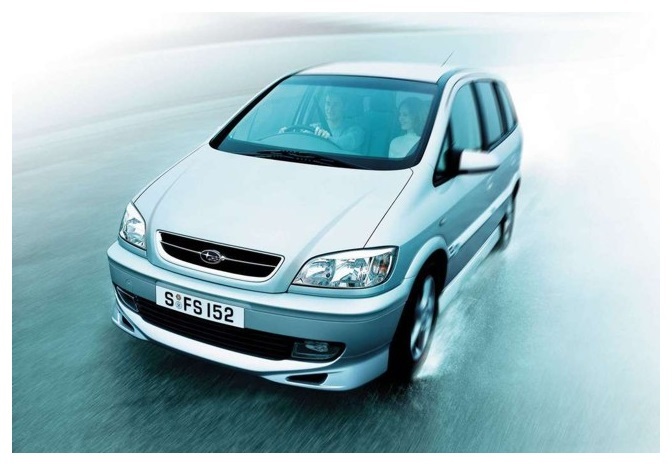 During that time, the Subaru Forester was sold as a Chevrolet Forester in India in exchange for the Vauxhall / Opel Zafira A being sold as the Subaru Traviq in Japan from 2001 to 2004 filling a gap in Subaru's range. 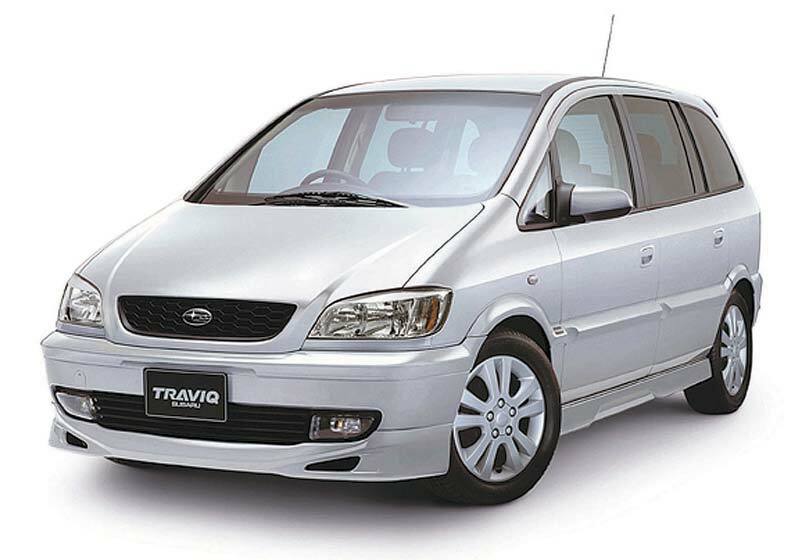 The Subaru Traviq was released in August 2001 and was the first so called "Monobox-Van" that the company had offered, although they had produced plenty of micro vans that were popular in Japan, in fact the Traviq wasn't the first Subaru to have 3 rows of seats, the Subaru Sambar Domingo was first in 1983. 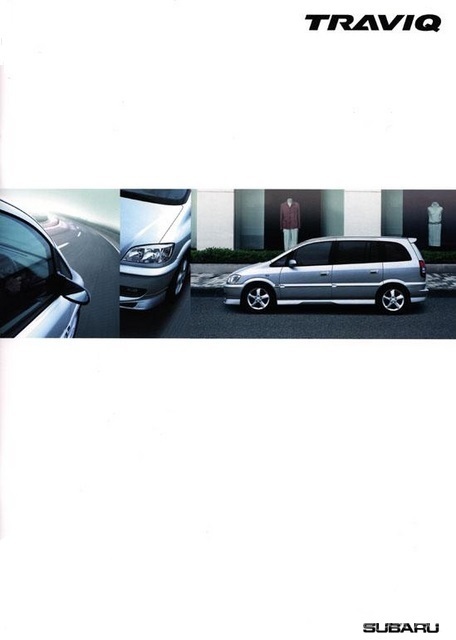 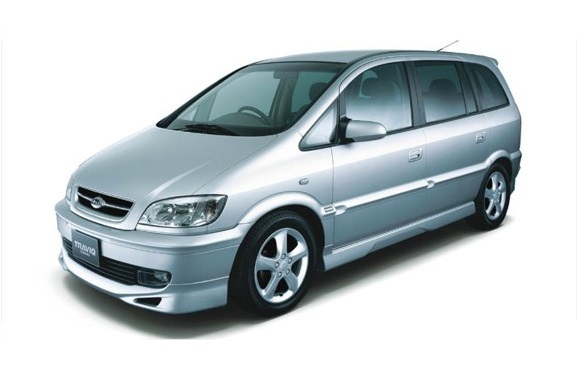 The deal made with GM to sell the Zafira as a Subaru created a conflict with the already well-established arrangements with Yanase Co Ltd whose retail dealerships were already selling Vauxhall / Opel cars in Japan, including the Zafira. 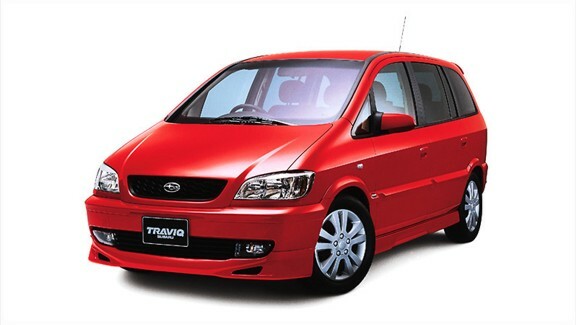 These were imported through GM Japan and were sourced from Germany, but the Traviq was built in Thailand by GM and sold in Japan at far lower prices than the Opel Zafira, made possible by the substantial labour rate difference between Germany and Thailand. 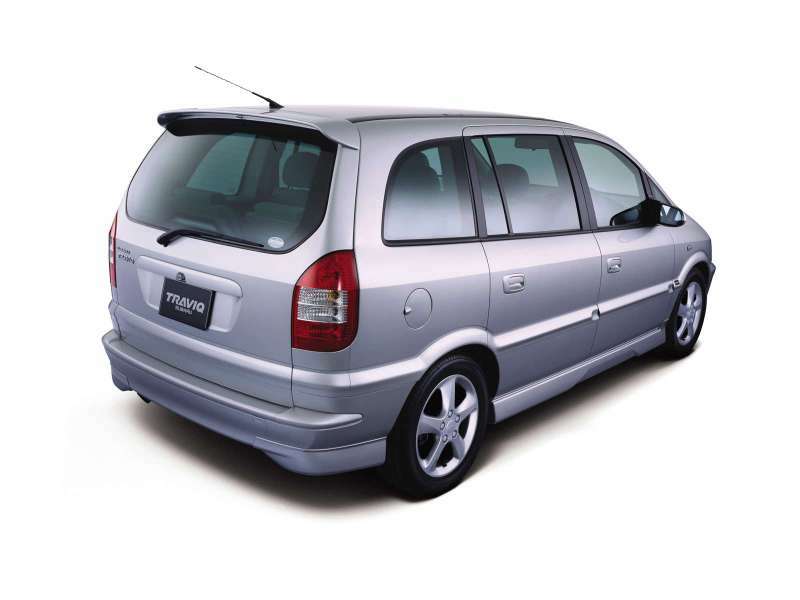 When production of the Traviq ended, Yanase Co Ltd continued to import Vauxhall / Opel products into Japan until 2006. 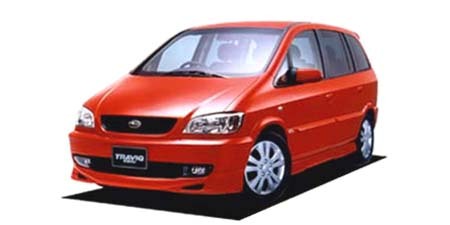 Due to the exterior dimensions exceeding Japanese government regulations for vehicles defined as "compact", Japanese buyers were liable for additional taxes. 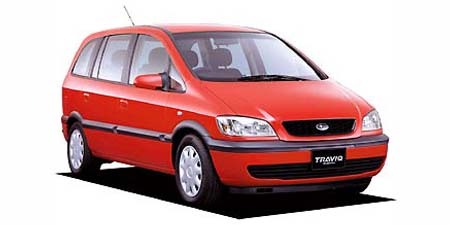 The Traviq was originally only available with the bigger 2.2litre engine, although a 1.8litre lower-priced alternative was added in July 2003. 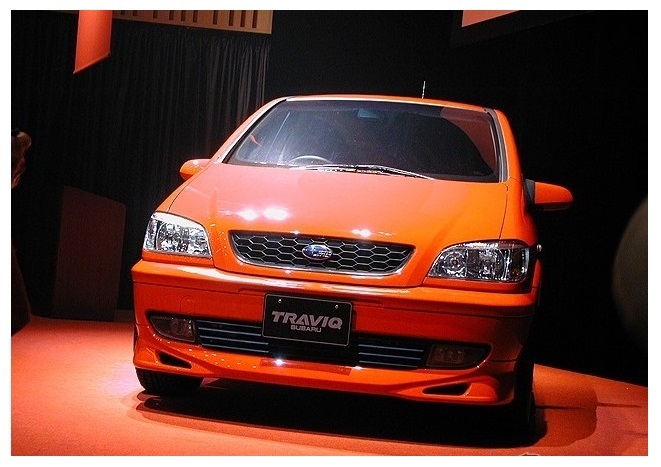 As the engines used in the Traviq were not the usual Subaru boxer engines, but were conventional in-line units, they were uncharacteristic to customers used to the normal Subaru products. 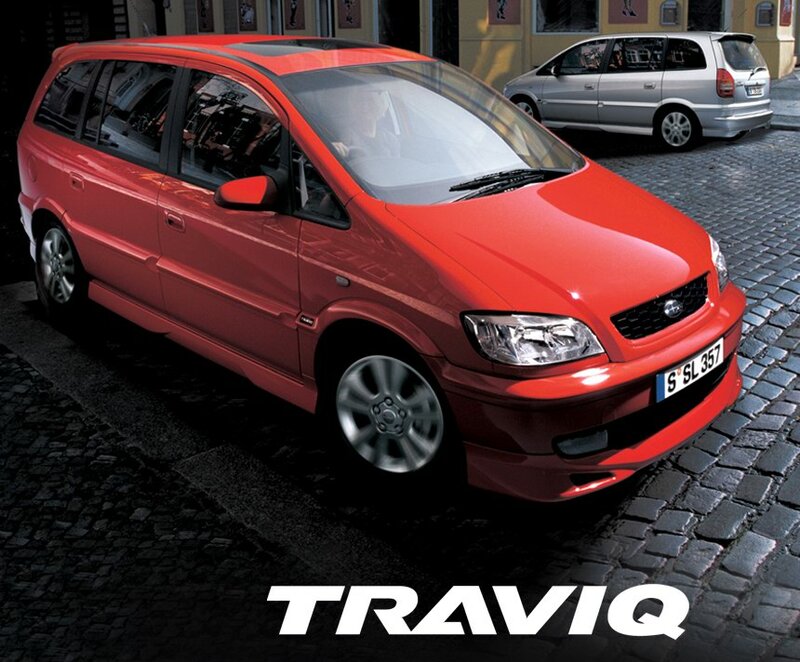 In addition all-wheel-drive technology was also not available on the Traviq. 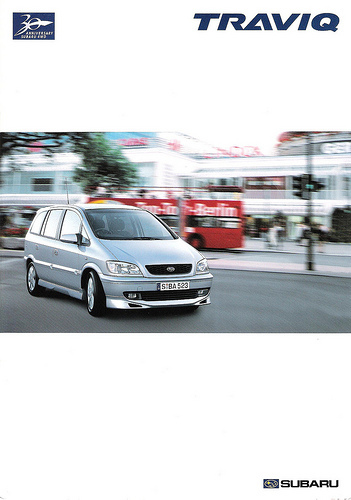 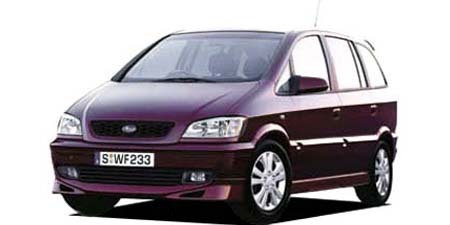 The reduced price compared to the Zafira was a selling advantage but there were some quality issues compared to the German built cars. 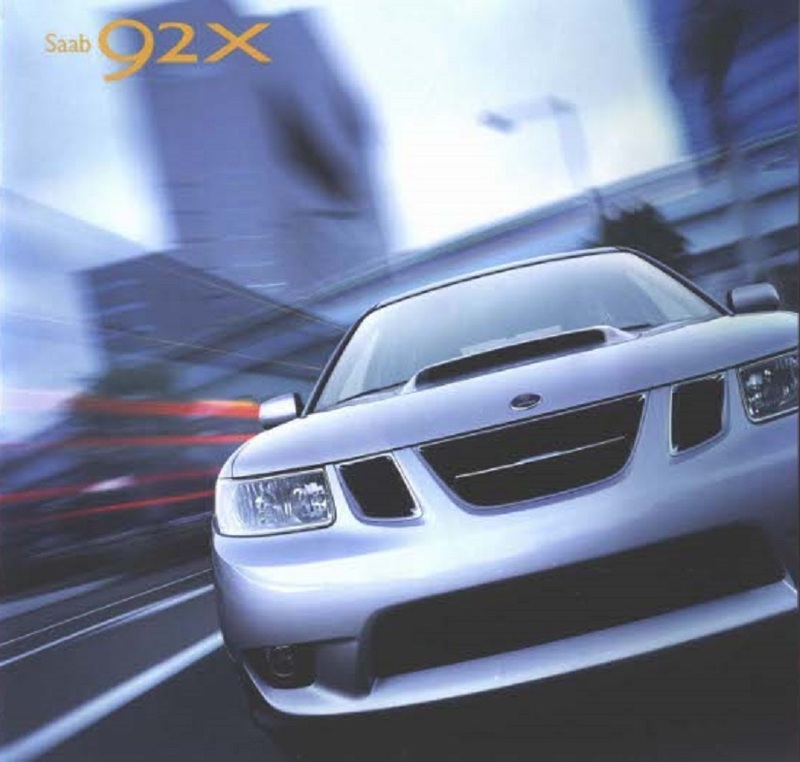 During the brief time General Motors had stake in Subaru there was another badge engineered model available in the US, an Impreza was sold as the Saab 9-2X with a Saab style front end. 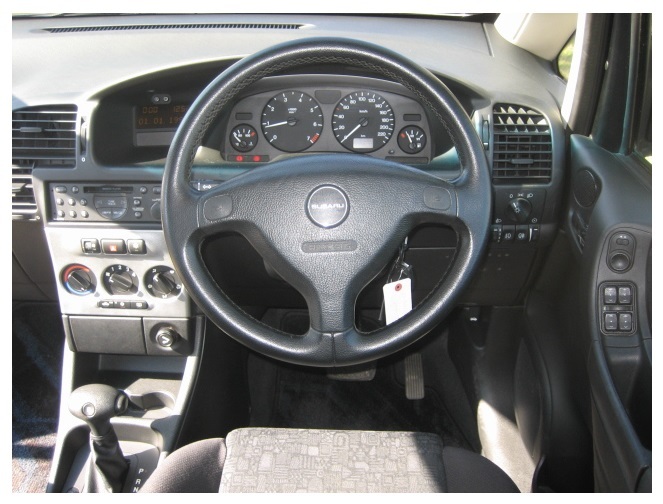 An SUV Subaru Tribeca / SAAB 9-6X was also planned but the SAAB version did not proceed and styling was then recycled in the 2008 Tribeca facelift. 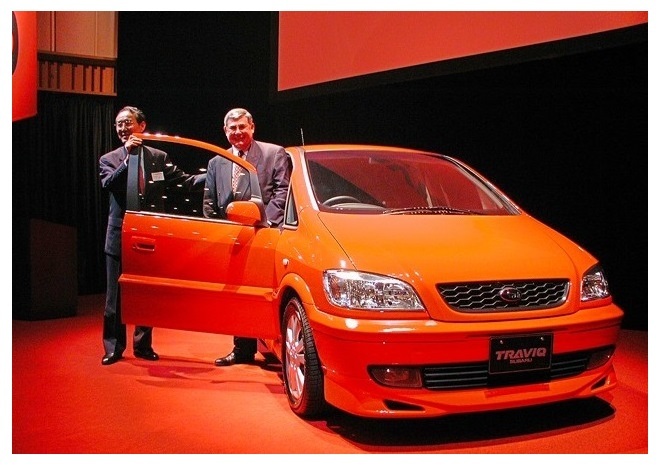 On 05 October 2005 Toyota Motor Corporation purchased 8.7% of FHI shares from General Motors who had owned 20.1% of the company, GM later divested its remaining 11.4% stake, selling its shares on the open market to sever all ties with Fuji Heavy Industries.